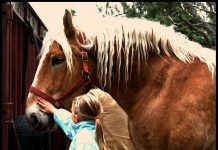 Of all the equipment that we use for our equine-related endeavors each day, there’s none so valuable—while, at the same time, underappreciated—as the manure fork. This humble tool goes by many names—manure fork, stall pick, manure pick, muck fork—you name it, but all these monikers describe the same thing: a long-handled tool with plastic or sometimes metal tines, designed to pick up piles of manure while allowing dry bedding to fall through the tines, minimizing wasted bedding. 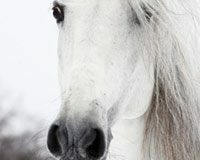 It’s an ingenious invention, one that modern horse owners cannot dream of surviving without. 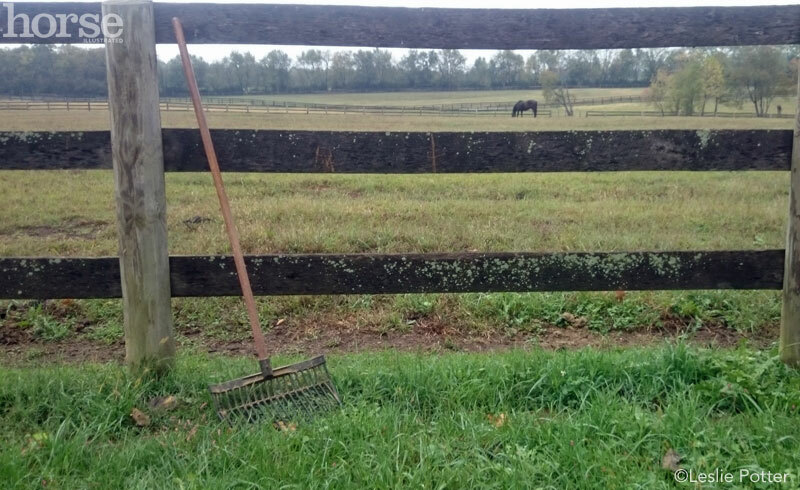 When you clean multiple stalls, paddocks or run-in sheds each day—or, let’s face it, even if you clean only one stall—you tend to spend a lot of time with your manure fork in hand. Over weeks and months and years, that manure fork becomes almost an artificial extension of your arm, a useful appendage that you wield with dexterity and ease as you rhythmically glide from stall to stall. Then there is color. This is important, folks. We stare at the tines of our manure forks every single day, and if you add up all those hours over the lifetime of a manure fork, you’ll think twice before selecting the color you’ll be looking at for 700 hours. Red is a popular choice; it’s bright and invigorating, always good for boosting enthusiasm over stall cleaning. Then there’s green; peaceful, serene. If stall cleaning is your escape from the stresses of life, get a green manure fork. Blue? Purple? These colors represent a love of blue skies and pretty flowers, which are nice to think about when you don’t particularly want to think about manure. Let’s talk about broken tines. These are the wrench in the works of stall cleaning. Broken tines happen, sometimes they just snap when you’re working and then (!!!) you’re left with a gaping gap in your tool, which is immediately where all the manure is going to gravitationally congregate, right back through to the floor. This means you’ll have to pick up the same pieces of manure multiple times before finally going crazy. Don’t fight it! Broken tines? It’s time for a new fork—or at least a new replacement head. You have better things to do than struggle with stall cleaning. Just bite the bullet and get that baby back in business. Being short, all broken handles manure forks, (and shovels) make it to my barn, and I make them work hard. But they have a good home. This was great. I will never think of my pitch fork in the same way. HI Spy: What makes your horse unique?